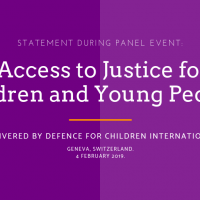 The Children’s Rights Alliance for England (CRAE), part of Just for Kids Law – the national section of Defence for Children International in the United Kingdom of Great Britain – recently launched two publications for children and young people on how well the UK is respecting children’s rights. Funded by the Department for Education and with a foreword by Robert Goodwill, Minister for Children and Families, the two pamphlets summarize, in a child-friendly language, the Concluding Observations of the UN Committee on the Rights of the Child on the situation of children’s rights in the UK. CRAE worked with children at Hove Junior School and our Change it! steering group to co-produce the summaries to ensure they are accessible to children of different age groups. 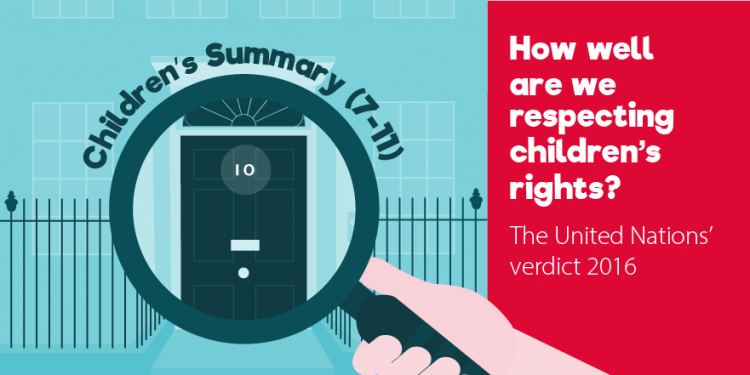 Children and young people can use the resources to find out how well we are doing on a range of issues relating to children’s rights including making sure that children have a decent place to live, are kept safe, have a good education and are listened to.